After that dominant game 1 victory, the Golden State Warriors seem like a virtual lock to advance out of their first-round matchup with the San Antonio Spurs. News has come in that will further cement that assessment. According to sources, Kawhi Leonard is not expected to return at any point this postseason. Shams Charania has a great story about it on Yahoo Sports. Despite Spurs doctors clearing him to return to action, Leonard’s personal doctors have not yet cleared him as he rehabs in New York. This has seemingly lead to considerable tension between Leonard and the Spurs organization, and they’ll certainly have some issues to work out this offseason. Leonard is still under contract through the end of next season with a player option for 2019-20, and it’ll be interesting to monitor how the relationship between arguably the best two-way player in the NBA and one of the league’s premier franchises resolves itself. For the time being, it appears as if barring some cataclysmic development, this ensures the Warriors can punch their ticket to the next round. 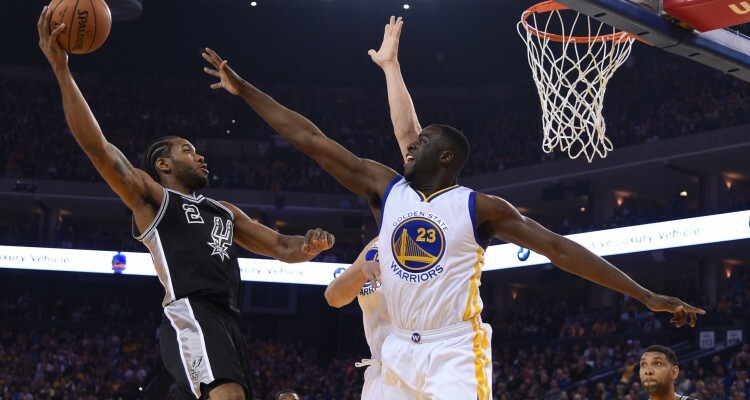 Leonard serves as not only a defensive stalwart but facilitates the entire Spurs offense. Game 1 illustrated that there are few players on the Spurs roster who can reliably create their own shot. Leonard’s absence puts a lot of emphasis on LaMarcus Aldridge to deliver on the offensive end. Aldridge only had 14 points in their game 1 loss, and that’s simply not enough without a player of Leonard’s caliber in the lineup. The series has basically come down to not whether the Spurs can pull off a stunning upset, but if they can even win a game. The Warriors swept the Spurs last postseason after Leonard got injured in that game 1, and that series really illustrated the lack of dynamic playmaking that the Spurs possess on offense without Leonard. This year differs, however, because of the absence of Stephen Curry for this round. That makes a sweep definitely less likely. It’s entirely possible that the Spurs can use their veteran savviness to pull out a victory in front of their home crowd, where their 33-8 record was good for third in the NBA. They just seemed overwhelmed by the Warriors firepower in game 1, though, even without Curry out there. It’s unclear how a solid argument can be made that Curry’s unavailability this round can propel the Spurs to a different outcome than last year. Maybe that’s good for one extra win, but it’s almost certain to not make a huge difference in the ultimate outcome of the series. Leonard’s injury has proven that he could very well be the player most crucial to his team’s success in the entire NBA. The news that he’s unexpected to return this postseason essentially serves as the de facto punctuation mark to the Spurs season. The question of whether he’ll suit up again for the San Antonio franchise after this drama is probably a more compelling question than if the Spurs can win this series against the Warriors.